Peggy Brekveld, a northern Ontario dairy farmer, was re-elected for a fifth one-year term as Vice President of the Ontario Federation of Agriculture (OFA) at the 2018 Annual General Meeting. Brekveld was acclaimed as Director-at-Large for a three-year term at the organization’s 2017 annual meeting. She previously served as Zone 15 Director for three years (2011-2014) representing the northern Ontario region of Algoma, Cochrane, Dryden, Kenora, Manitoulin-North Shore, Nippissing East & West, Parry Sound, Rainy River, Sudbury East & West, Temiskaming and Thunder Bay. 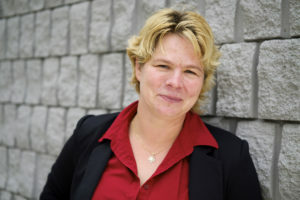 She has been a board member of the Thunder Bay Federation of Agriculture since 2005, including two years as President. Brekveld and her husband Gert own and operate Woodstar Farm, a 70-cow dairy operation in Murillo. Provincially, she is currently a board member of the Agricultural Adaptation Council. She enjoys promoting the importance of agriculture and local food to provincial politicians, municipalities, students and other community groups. She helped bring together the Thunder Bay District Agricultural Economic Impact Study, a website for her county federation (www.tbfarminfo.org), promotional displays and farm tours. Brekveld is a Class 12 graduate of the Advanced Agricultural Leadership Program. In 2008, the Brekveld’s were finalists in Ontario’s Outstanding Young Farmers program.